The first part of J.R.R. 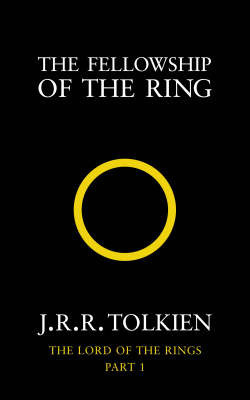 Tolkien's epic adventure. Thus begins J.R.R. 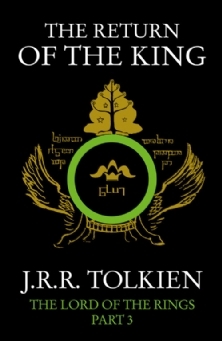 Tolkien's classic tale, which continues in The Two Towers and The Return of the King. This is the first book in the trilogy. It begins from the formation of the fellowship and the beginning of their journey. Since this is considered a classic series, I was expecting it to be slow. However as I was reading this, I found it to be quite captivating and I was eager to read on. There was certainly a lot of unnecessary (in my opinion) detail to most parts yet I was able to deal with this nicely. The concept created by Tolkein is incredible. I love the detail that went into the creation of this world from the names of the characters and their species all the way to the history of Middle Earth and the characters! 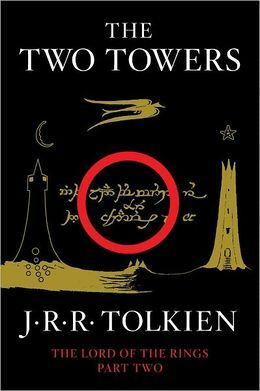 At the end of Part 3 (the last book) over 1/3 of the book was dedicated to an Appendix in which an alphabet, timeline and histories of this fantasy land was listed. It just goes to show the vastness of the authors mind and creativity which is really inspiring for me. The ending of this book lead really nicely onto the next book and intrigued me to explore the world and join the journey the fellowship had been given! As I mentioned above, I expected these books to be slow however I was determined to persevere. Compared to the first book, I found this one to have a much slower pace. I think this is because the first book was introducing the characters and the world and explained how Frodo was given the journey to destroy the Ring. However this middle section was a very dragged out section about the characters perusing this quest. There were still some interesting scenes as the characters met new species and characters as well as the mystery that followed. Something I discovered whilst reading this was that I had to sit down and read this book in chunks in order to really immerse myself in the land of Middle Earth and connect with the characters better. It was much more difficult to read in smaller parts as my mind wandered more and I got bored quickly. Overall I didn't enjoy this second part as much as the first. I much preferred the story of Frodo and Sam to Pippin's adventures with Aragon and the other half of the fellowship. However the ending of this book was equally fantastic (with a cliffhanger!) as the first part and really urged me to continue onto the final book. This is the final part of the Lord of the Rings. Here we follow Sam and Frodo as they meet their final destination, as well as following the other half of the fellowship into battle to protect their land. This was a much longer journey than I expected. I knew that the books were long and highly detailed however I felt that even the ending dragged on more than I was prepared for. The final chapter was the most enjoyable part of the ending for me as it ended on a happier note and summed up the characters/ concluded the books really well! Overall I'm glad that I managed to persevere and read all 3 books (even if I skimmed parts of the last book!) It was a good series and I understand why it had received so much recognition and praise over the years. I haven't actually read The Hobbit (the prequel) to this series yet and would like to read it, however it may be some time before I pick it up.